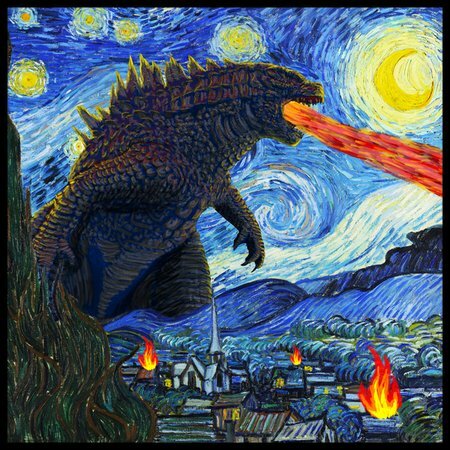 Starry night parody of this big monster destroyer of the cities. The Japanese legend. 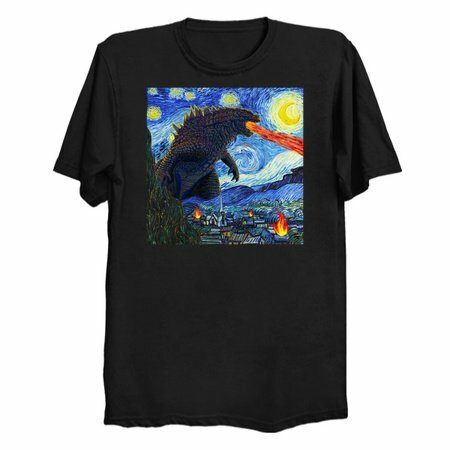 Van Gogh the famous painter the master of creating dreamy paintings. This monster from the night, scary horror monster.